Young actress Barbara Miguel made waves at the recently concluded Harlem International Film Festival by bagging the Best Actress award for her performance in the indie film Nuwebe by director Joseph Israel Laban. 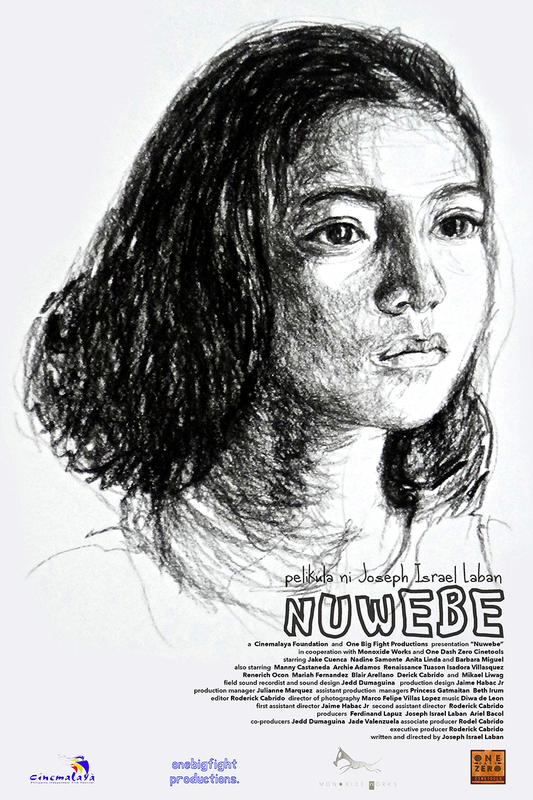 The only Filipino film in competition at the festival which ran from September 11 to 15, 2013, Nuwebe is a drama about a 9-year old girl impregnated by her own father. The film delves into the repercussions caused by the event to the girl, her family and the community around her. The synopsis for the film posted on its Facebook page goes: "Nuwebe" (English Title: Termitaria) is inspired by the actual story of one of the youngest mothers in Philippine history. Krista was just 9 years old when she got pregnant. Her mother believes that she was impregnated by malevolent supernatural creatures but the real story will prove to be more complicated than it seems." The film also competed at the 2013 Cinemalaya Philippine Independent Film Festival. It competed in the New Breed category. The synopsis for the film provided by the Cinemalaya website is as follows: "Inspired by the actual story of one of the youngest mothers in Philippine history, “Nuwebe” follows the story of Krista who at the tender age of 9 got pregnant from the sexual abuse perpetrated by her own father. What follows is a story of struggle and renewal. Krista’s story is complex. She refuses to see herself as a victim. Despite her situation, she demonstrates an incredible level of resilience and determination to overcome the trauma of her past. Her mother on the other hand is torn between her love for her child and her love for her husband." Aside from Barbara Miguel, the cast of Nuwebe also includes Jake Cuenca, Nadine Samonte, Anita Linda, Manny Castañeda, Archie Adamos, Renaissance Tuason, Mikael Liwag, Isadora Villasquez, Renerich Ocon, Mariah Fernandez, Blair Arellano, and Derick Cabrido. Barbara Miguel is most well-known by Filipinos for her appearance in the drama series Munting Heredera which was aired by GMA-7 from May 2011 to February 2012.